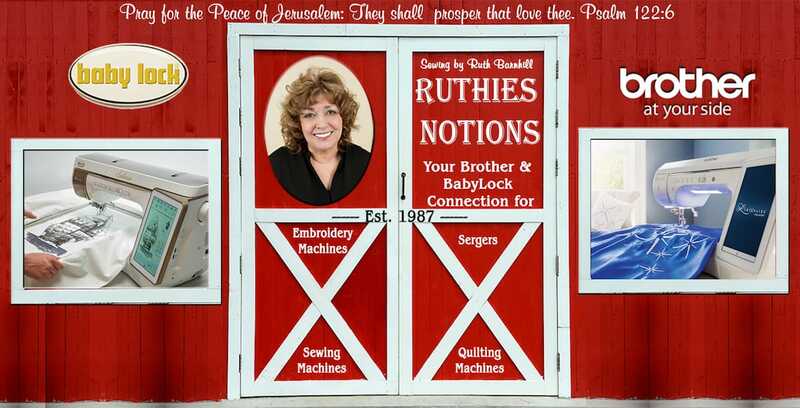 We are proud to preset the Baby Lock Intrepid Embroidery machine. 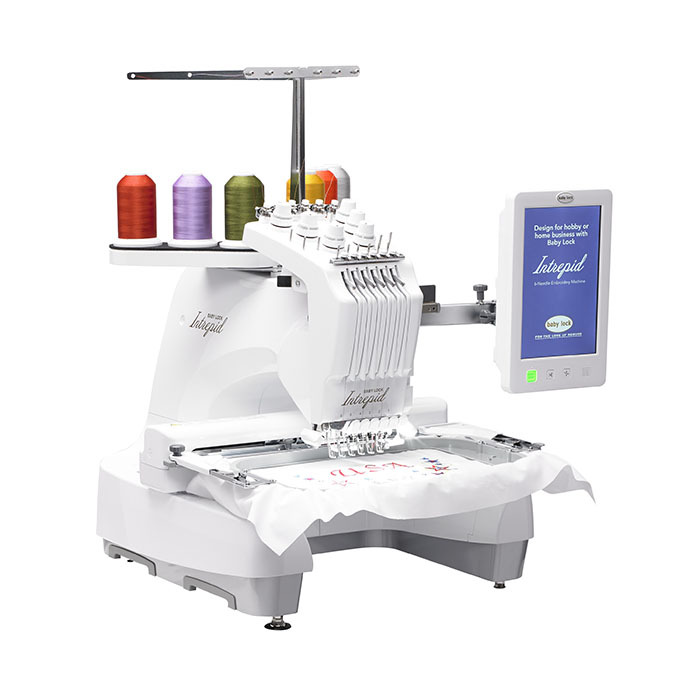 This machine offers a brilliant high definition touchscreen to assist with all of your embroidery masterpieces. The Baby Lock Intrepid uses IQ™ Technology to make sure that your designs are ready to be stitched effortlessly and fast. With the Intrepid embroidery machine, you can make quick changes to your designs and begin embroidering right away. You are able to create your own designs and load them onto the machine with two-way USB connectivity or simply use any of the 86 built-in designs. 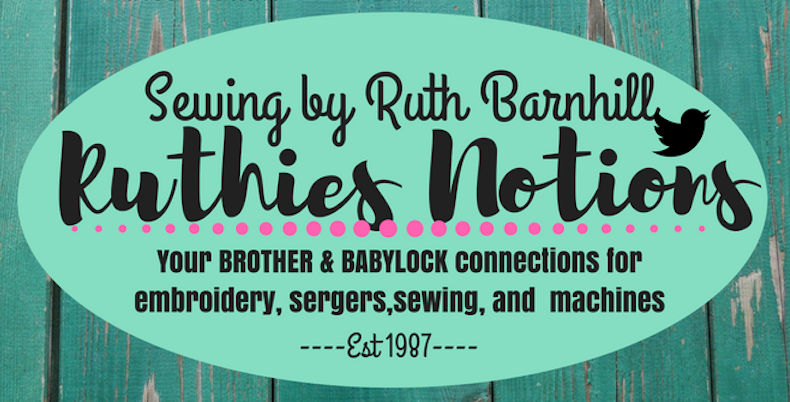 The Baby Lock Intrepid is a powerful six-needle machine that includes a variety of features that will help make your wildest creative dreams become a reality. If you are interested in the Intrepid and have further questions, please contact us today. We are here to help you decide which machine will best suit your needs.